Giving access to underrepresented groups in Seattle who do not have space downtown for performing arts, event space for small businesses and unique experiences through workshops and classes. Located in Pioneer Square, the historic district of Seattle, this is an open studio with large windows facing 1st Ave., exposed 16 ft. tall brick walls and original hardwood floors. (Approximately 1300 sqft) Ideal for various style photoshoots, private dinners, small weddings, art receptions, intimate artist performances, cocktail gatherings and other endless possibilities. Serving Mediterranean wraps plus American classics like hot dogs and fries. 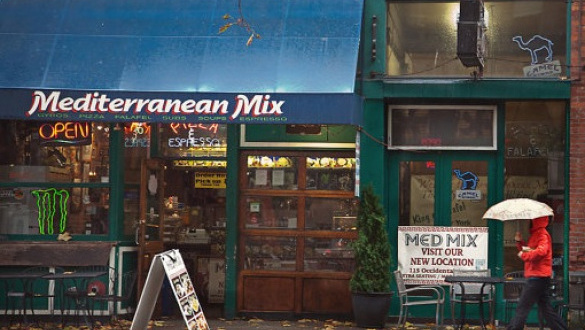 Purveyor of the Original Seattle Cream Cheese Dog. 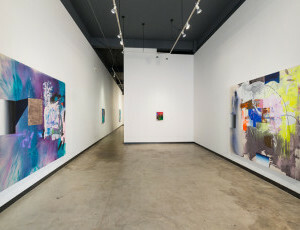 The gallery focuses on contemporary painting, drawing, photography, sculpture, video and installation.